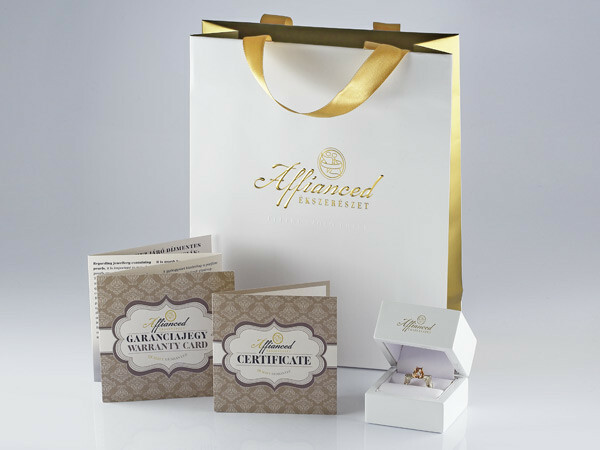 Price category: Fiancée Exclusive – click here. 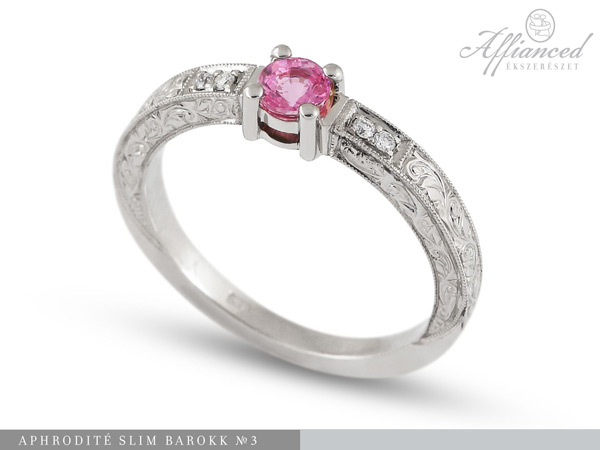 BROWSE THROUGH THE ENGAGEMENT RINGS OF OUR ‘TULIP’ COLLECTION AS WELL! The birth of this group of jewellery was inspired by the exterior design, tracing and allegory system of Hungarian folklore. The tulip represents effeminacy, beauty, and respect. The heart is the symbol of love, understanding and devotion. In Hungarian folklore, these two appearing together symbolizes love. 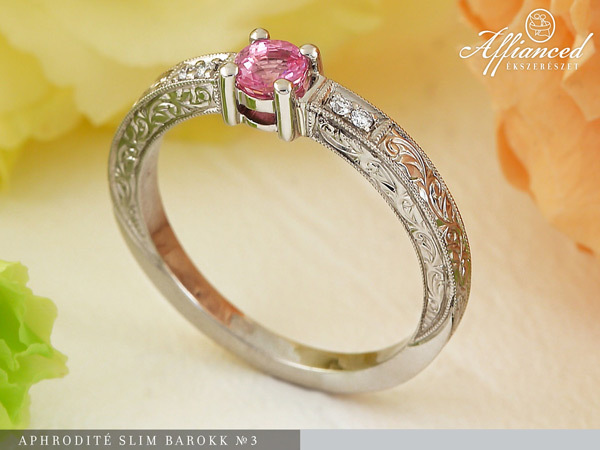 Engagement rings are usually decorated with centrally placed precious stones. It is the tradition. These are the solitaire rings. Apart from the stone, which sits in a more outstanding socket, there are usually more, smaller precious stones too. In most cases, they have diamonds in them, which are “white”, or to be more precise, translucent, meaning they have no colour. Apart from that, other lovely stones can be chosen, too. The most eye-catching attribute of these stones is their colour. For example: sapphire-blue, ruby-red, aquamarine-blue, and emerald-green. Right after the colour, toughness is the next important attribute. 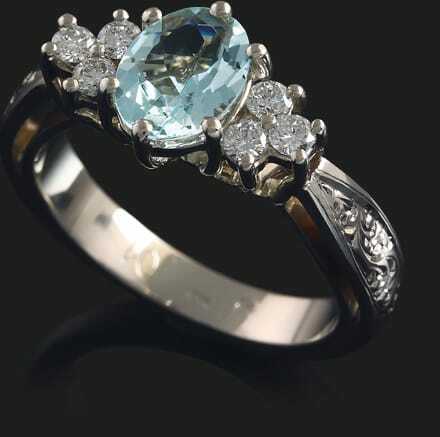 The tougher the stone, the longer it will endure and stay beautiful; hence the priority of diamonds. 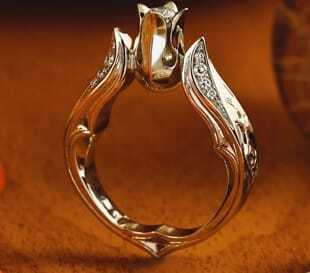 The invulnerability, the high endurance of this stone symbolizes the feelings of the groom towards his bride. 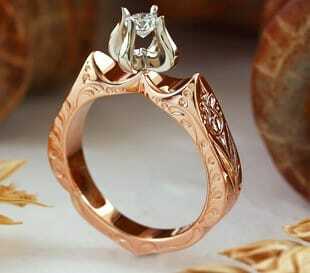 Gold is the metal of the jewellery’s body. White gold alloy is the most commonly used one, although yellowish or reddish toned alloys are possible as well. When a potential groom comes to our shop, wishing to buy an engagement ring unbeknownst to his beloved one, we ask him about his would-be-bride’s dressing style, favourite colours, figure and shape of hand. We strive to acquire the most of available information we can work with. In the case of engagement rings, determining the size of the finger is one of the most typical, fundamental questions. By our experiences, the moment when the perfectly right size is finally determined is the same moment the ring finally takes its place on the owner’s finger. We’d like to set the grooms’ mind at ease, by informing all of them, correcting the size can be carried out without a problem, and we do it free of charge and with warranty. This means given all the instructions, we’ll aim to recommend such shapes that’ll be the most fitting for the lucky lady’s taste in fashion, and personality. 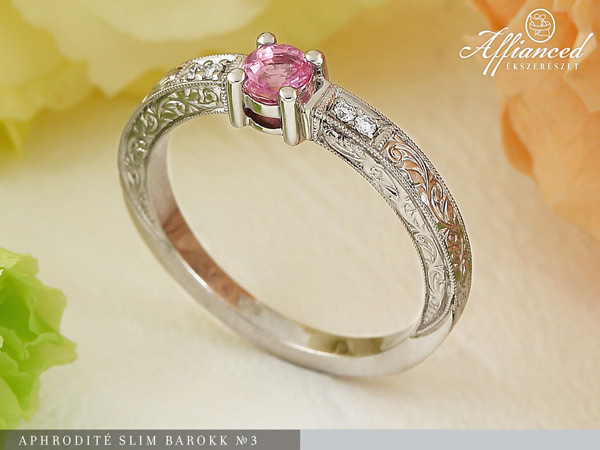 When the desired model has been determined, finding the right stone to be fit into it is another step, since it will play a mayor role in getting the final price of the item. To us, giving well-detailed descriptions about different variations to the grooms is important. This way, they’ll be in possession of valuable knowledge, and choosing the perfect piece of jewellery for their loved one will be a lot easier to them in our shop.